In effect, the use of Hivemind has drastically decreased the steemd instances from 488GB to 61GB RAM instances. Hive can ‘tracks posts, relationships, social actions, custom operations, and derived states’ but ‘does not track most blockchain operations’ like orders, escrow, keys, etc. as specified by Hivemind Readme. The Steem blockchain runs on the delegated Proof of Stake Consensus, witnesses are needed to create new tokens, confirm transactions and make network decisions. 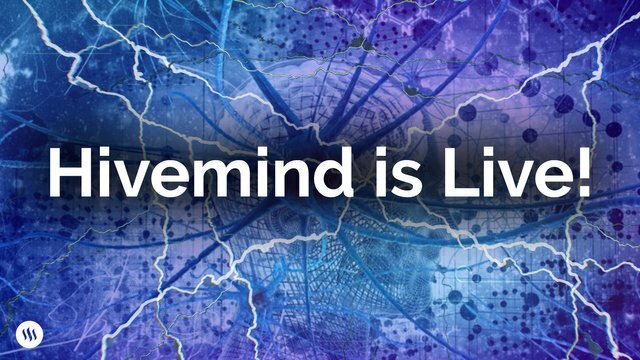 Hive mind will help steemit witnesses to also reduce node sizes and costs. The Hivemind update can be linked to a hard decision that was made in November 2018, by the company. This was the laying-off of about 70% of the team because of the weakness of the cryptocurrency market, decreased fiat returns on the automated selling of STEEM, and the increase in the cost of running full nodes. (Source). Steemit.com is one of the largest blogging platform that pays users in cryptocurrencies (STEEM and SBD) for what they enjoy doing. Users are incentivized for their activities on the platform through upvotes on blogs and commenting. The blogging platform which was created by Steemit Inc. became mainstream in the fall of 2017 when the prices of Cryptocurrency shot to the moon. However, the drop in price of the cryptocurrency market in 2018 also affected it which led to the hard decisions that was made. Through the Hivemind update, it is the hope of all registered users of steemit, that it will positively move it price and adoption.